Why does the DFT of a diffraction pattern gives the corners of the aperture? I am comparing diffraction pattern images and their discrete Fourier transform (DFT). I know that since Fraunhofer diffraction is essentially a Fourier transform, the DFT of the resulting pattern gives me the intensity profile of the wave on the aperture. Well, the DFT does give me the aperture shape, but only the corners! Why is that? 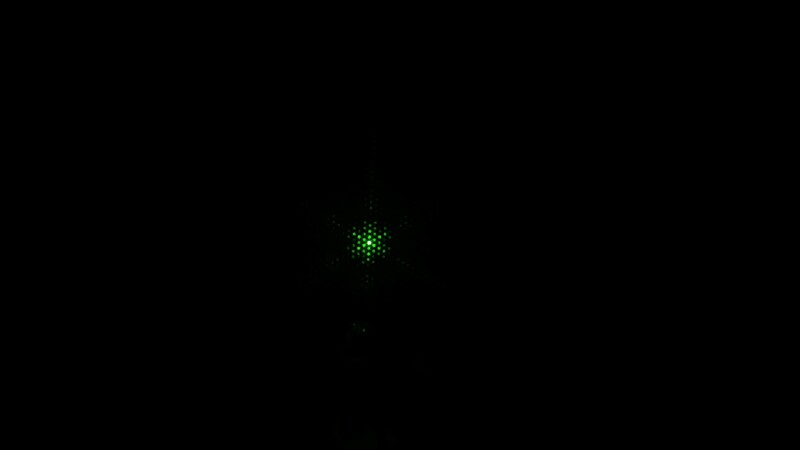 This is the diffraction pattern caused by a green laser passing through an hexagonal aperture. 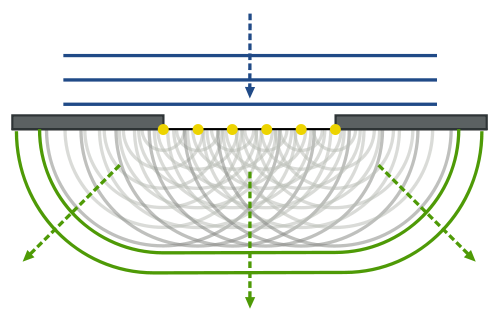 This is the DFT of the hexagonal aperture. Intuitively this is because of Huygens' principle. 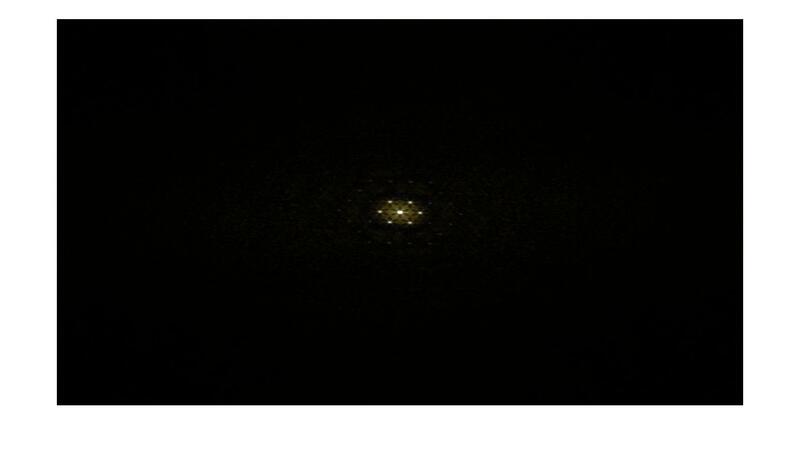 You can simulate the diffraction pattern by just summing point sources that are close enough together. Near the center of the aperture you get an approximate plane wave. The diffraction happens at the aperture boundary. If you do this analytically in the far field, you get (apart from the obliquity factor) and integrand that is just the Green function for a point source. So by doing the integral you're doing a continuous Huygens summation. Not the answer you're looking for? Browse other questions tagged optics fourier-transform diffraction huygens-principle or ask your own question. Fraunhofer diffraction simulation for a hexagonal aperture, what are the typical units? Can I calculate the form of the aperture from the diffraction pattern? How is the diffraction pattern of six cicles in a hexagonal shape? Why is a circular aperture defined by the circle function rather than a heaviside step function? Fraunhofer diffraction problem in Python: How to interpret discrete Fourier transform (DFT) spectrum?